Since having children I’ve really noticed a change in my skin and hair during the winter. The moment the temperature drops and the heating comes on my skin gets dry and flaky and my hair seems dryer than normal. My hands and shins are always the worst affected parts but there is an all over theme of dryness really and that tight skin feeling at the same time. Bio Oil was something I used during all of my pregnancies, but since having children I have continued to use it to treat dehydrated skin on my face and arms and legs. The thing I have always liked about Bio Oil is that it isn’t a greasy oil, it soaks in almost straight away, leaving skin nourished not slimey. It really is one of those hero products and I never like to be without some. I’ve also used it on the rest of the family over the years to treat the odd scar or three and it works wonders in a relatively short space of time. For a great all over body moisturiser in the winter months I don’t think you can beat Dove. When everything gets that dry and tight feeling Dove really sorts its out. It soaks into the skin well and leaves it nice and soft. Woods of Windsor have a huge range of hand creams, moisturising shower gels, hand washes, body lotions and more to help keep your skin soft and supple over the winter. The hand washes and shower gels are especially good and of course a good hand cream can make a huge difference. My hands dry out so easily at the best of times, but during the winter they are so much worse. 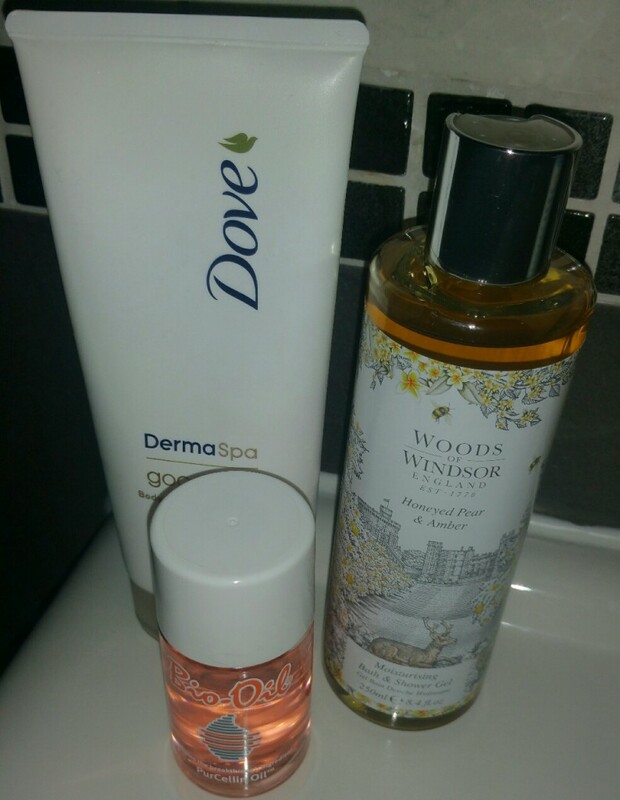 A couple of applications of Woods of Windsor hand lotion each day can help to keep them soft and supple. I can feel them getting sore and tight as I type which means I need to put some more on! when they are really bad, rubbing Bio Oil into them can really help as well. It not only improves the way they feel, but also the appearance of the skin as well. When you are busy it can be easy to get out of a routine with skincare, so it pays to have something quick yet effective to use when you get a chance. 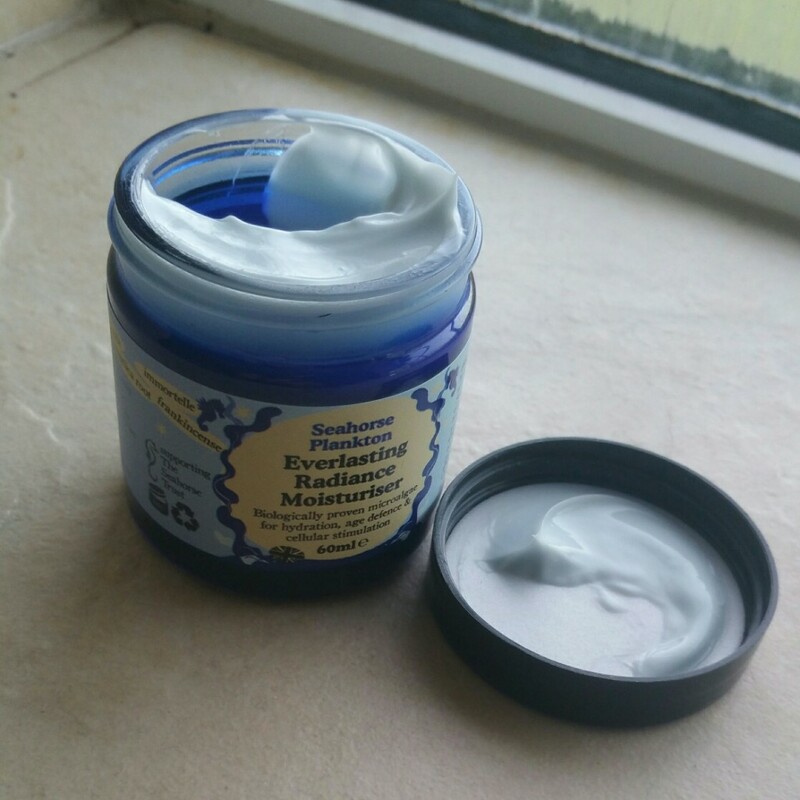 Beauty Kitchen Seahorse Plankton Everlasting Radiance Moisturiser is suitable for daily use and smells amazing. Some days I put this on day and night as the scent is quite soothing in itself. Along with Seahorse Plankton, this facial moisturiser contains sea kelp, blue chamomile, angelica root, immortelle and frankincense. It is biologically proven in delivering daily hydration, age defence & cellular stimulation using 100% natural, 100% effective ingredients. It gives a really smooth and nourished result, supports skin renewal and you only need a tiny bit for it to be effective, making the £19.99 price tag more reasonable. When skin does get dry, I always feel the need to give it a good scrub. To exfoliate off the dead, dry skin and try and restore some smoothness. Sometimes I mix up my own scrubs, but at the moment I am absolutely loving Coconut and Monoi Foaming Sugar Scrub by Kind Natured. It’s a really effective scrub without being harsh on the skin. In the days before I had children, when I used to treat myself to an Elemis massage once a month, monoi featured highly, so the scent of this scrub really reminds me of that. 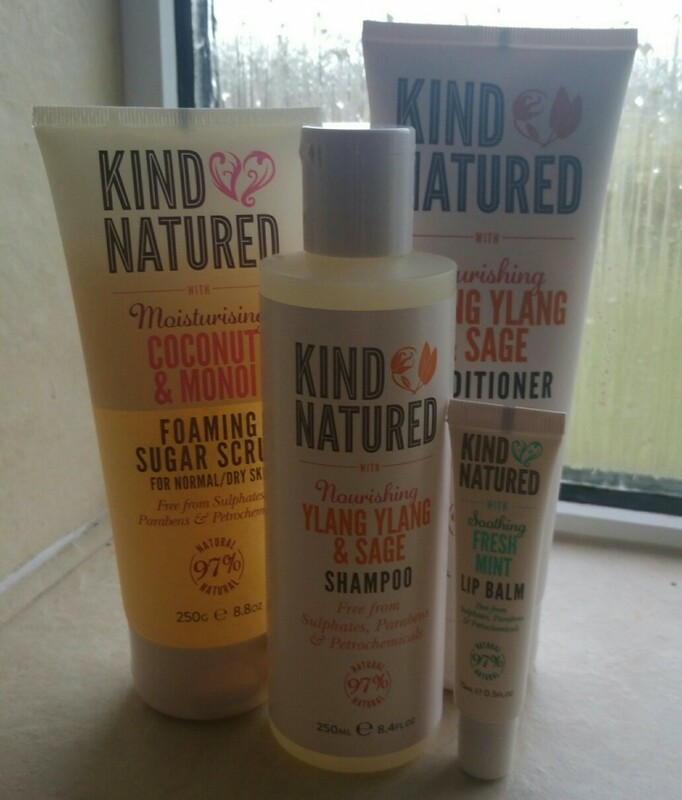 Kind Natured do a gorgeous range of products which I’m really impressed with. Their hair care range has fixed my hair, which had been feeling rather dry and out of control recently, and their fresh mint lip balm is the perfect handbag hero for the winter months to keep those chapped lips at bay. They even do a funky kids range, so little ones can feel as if they are using the same products as you are. Plus, if your hair gets a bit knotty you can try out the detangler which works wonders! Of course caring for skin and hair isn’t just about the external, the internal is just as important. What we eat and drink has a huge impact on our skin and hair. I’ve discussed the health benefits of green tea on the blog before but in addition to a number of impressive health benefits, drinking green tea can also have a positive effect on your complexion. By boosting your overall health from the inside, you will improve the outside as well. You can also treat things like dark circles and spots by applying green tea to the affected area with a cotton wall ball. Drinking 2-3 cups of green tea a day can also help to keep hair healthy and shiny. 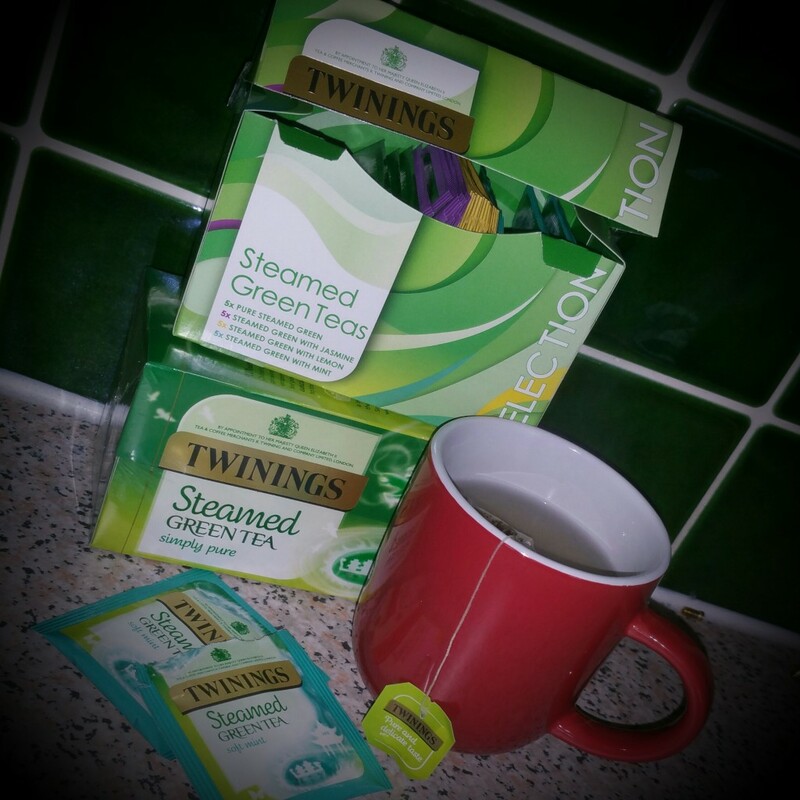 It pays to drink a quality green tea too, at the moment I’m loving the Twinings range as there are so many lovely green teas to choose from. The cranberry green tea always has a place in our kitchen but you could also try things like the gingerbread green tea if you wanted something a bit festive. The steamed green tea collection is a good one as there are four different teas in there to try. I even carry a few sachets around with me so I can always have a cup. Has your skin and/or hair altered since having children? Is it affected by the cold weather? I really struggle in winter. Particularly with dry skin on my face. Will have to try some of your recommendations.